Franci McMahon’s sophomore effort is again involving horses, only this time instead of distance riding, the story revolves around a newspaper reporter, Jane Scott, who shows championship horses as a hobby. Essentially a mystery and thriller, the story follows Jane and her friend Victoria, both of whom are upset about the bad treatment some of the horses in their area are receiving. With a little digging, Jane uncovers sleazy conspiracies to steal, transport, and re-sell prize show horses. When she sticks her nose in, all hell breaks loose and she very nearly loses her life. The novel starts a bit rocky. The side story of Anne’s breakup with her girlfriend is necessary to later plot development, but doesn’t endear any of the characters to the reader. But once Jane actually begins investigating, McMahon’s writing skill comes to the forefront and the mid-section of the book is gripping. The last third of the book effectively mixes romance with mystery and intrigue. 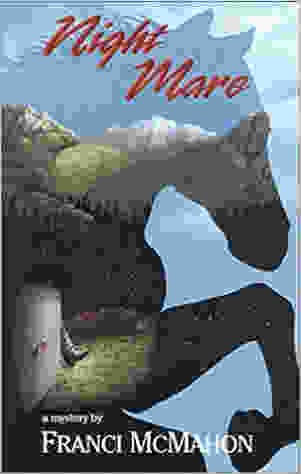 As with her 1994 novel, McMahon has written a colorful and engaging story, with horses as the secondary characters. The novel is entertaining and a quick read. Of particular note is the terrific—and thematically perfect—book cover by ArtByLucy which packages the book beautifully.